Hali Ali Dargah is a popular place of worship in Mumbai. A lot of tour operators in Mumbai offers special travel packages for this place. A guided tour by professional tour guide is also provided by a few travel operators in Mumbai. An advance booking for travel package with special guide is required by them. You just need to ask them for special package and they will happily provide you the same. 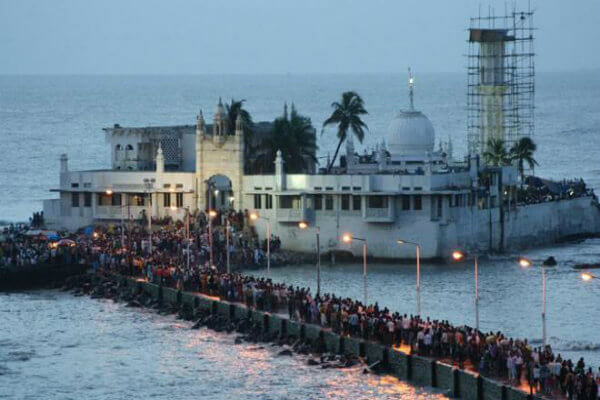 In this article, Traveljee has compiled a list of the best ways to reach Haji Ali Dargah by Car, Bus or Train from several locations. So, let’s read. To reach Haji Ali Dargah from Borivali by train, you just need to take a local train from Borivali Railway Station to Mahalaxmi Railway Station. The distance between Mahalaxmi Railway Station and Haji Ali Dargah is only two km. You can reach Haji Ali Dargah from Mahalaxmi Railway Station by local bus (BEST), car, or cabs. To reach Haji Ali Dargah from Mumbai CST, you just need to take a local train from Mumbai CST to Byculla Railway Station. The distance between Byculla Railway Station and Haji Ali Dargah is just 3.3 km. You can hire a taxi/CAB or Auto-Rickshaw or even a local bus (BEST). The distance between Thane and Haji Ali Dargah is 37 km, which may take up to 1 hour of driving by car or bike. You can easily reach here by private car, cab or your own bike. Alternatively, to reach by train, take a train from Thane Railway Station to Byculla Railway Station. To reach Haji Ali Dargah from Byculla Railway Station, take a private taxi or BEST bus, you will reach the dargah within a few minutes. The distance between Andheri East and Haji Ali Dargah is 23, which may take up to 40 minutes of driving by car or bike. To reach Haji Ali Dargah from Andheri East by train, then take a local train from Andheri to Mahalaxmi Railway Station. The distance between Mahalaxmi Railway Station and Haji Ali Dargah is 2 km. So, you can easily reach Haji Ali Dargah from Mahalaxmi Railway Station by car, or your own private vehicle within a few minutes. To reach Haji Ali Dargah by train (local train), If you are on the western line, then take a train from any part of the city and get off at Mahalakshmi Railway Station or Mumbai Central Station. If you are on the side of Central (Main) line, then take a train and get off at Byculla Railway Station. From there, you just need to take a private cab or BEST bus. Bus is one of the best ways to reach Haji Ali Dargah. BEST (Bombay Electric Supply and Transport Company) is a popular way to reach any place in the city of Mumbai. BEST has a large number of buses from several parts of the city to Haji Ali Dargah daily. Article last re-published on August 8, 2018. Masha Allah..I had visited three times there@ haji Ali dargah.. I have visited dargah of haji ali on 5 May 2016.My wishesh are complete because of Haji ali. My name is Anwari Begum Rajabalee, of Mauritian Nationality. 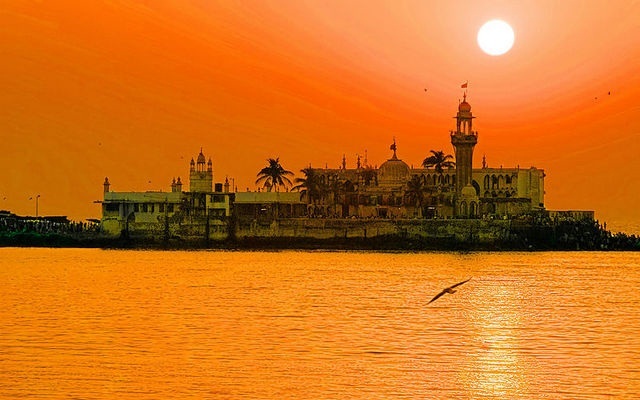 I have visited Dargah Baba Haji Ali (R.A.) in the year 2002 and I was deeply touched by its peaceful environment. So many years have been elapsed since then, the Dargah is still fresh in my mind. This year, since a few months ago, I have taken the firm decision to come again and to settle near the Dargah forever. Yours views is sought whether there is a possibility for me to get a room nearby for staying and may I be of great help to you. Looking forward in hearing from you and thanking you.